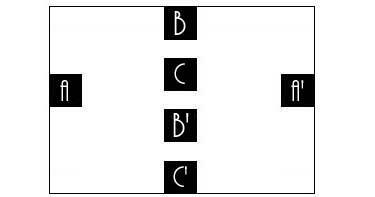 Draw a line (not necessarily straight) from A to A', another from B to B', and a third from C to C', in such a way that the lines do not touch or cross each other. No going outside the border, through the black boxes, or any funny stuff like that. Previous → 4. Why does a mirror?